Prior joining Microsoft I was heavily involved in architecting and building a large scale HTTP API which will be consumed by a large number of mobile application consumers on multiple platforms (iOS, Android, and Windows Phone). Securing the API and architecting the Authentication and Authorization part for the API was one of the large and challenging features which we built from scratch as we needed only to support local database account (allowing users to login using their own existing email/username and password). As well writing a proprietary code for each platform to consume the Authentication and Authorization end points, storing the tokens, and refresh them silently was a bit challenging and required skilled mobile apps developers to implement it securely on the different platforms. Don’t ask me why we didn’t use Xamarin for cross-platform development, it is a long story 🙂 During developing the back-end API I have learned that building identity management solution is not a trivial feature, and it is better to outsource it to a cloud service provider if this is a feasible option and you want your dev team to focus on building what matters; your business features! Recently Microsoft has announced the general availability in North America data centers of a service named “Azure Active Directory B2C” which in my humble opinion will fill the gap of having a cloud identity and access management service targeted especially for mobile apps and web developers who need to build apps for consumers; consumers who want to sign in with their existing email/usernames, create new app-specific local accounts, or use their existing social accounts (Facebook, Google, LinkedIn, Amazon, Microsoft account) to sign in into the mobile/web app. The Azure Active Directory B2C will allow backend developers to focus on the core business of their services while they outsource the identity management to Azure Active Directory B2C including (Signing-in, Signing-up, Password reset, Edit Profile, etc..). One important feature to mention here that the service can run on Azure cloud while your HTTP API is hosted on-premise, there is no need to have everything in the cloud if your use case requires hosting your services on-premise. You can read more about all the features of Azure Active Directory B2C by visiting their official page. The Azure Active Directory B2C can integrate seamlessly with the new unified authentication library named MSAL (Microsoft Authentication Library), this library will help developers to obtain tokens from Active Directory, Azure Active Directory B2C, and MSA for accessing protected resources. The library will support different platforms covering: .NET 4.5 + (Desktop Apps and Web apps), Windows Universal Apps, Windows Store apps (Windows 8 and above), iOS (via Xamarin), Android (via Xamarin), and .Net Core. Library still in preview, it should not be used in production application yet. So during this series of posts, I will be covering different aspects of Azure Active Directory B2C as well integrating it with MSAL (Microsoft Authentication Library) in different front-end platforms (Desktop Application and Web Application). During this post we will build a Web API 2 HTTP API which will be responsible for managing shipping orders (i.e. Listing orders, adding new ones, etc…), the orders data will be stored in Azure Table Storage, while we will outsource all the identity management to Azure Active Directory B2C, where service users/consumers will rely on AAD B2C to signup new accounts using their app-specific email/password, then allow them to login using their app-specific accounts. Saying this we need a front-end apps to manipulate orders and communicate with the HTTP API, We will build a different type of apps during the series of posts where some of them will use MSAL. Azure Active Directory B2C tenant for identity management, it will act as our IdP (Identity Provider). ASP.NET Web API 2 acting as HTTP API Service and secured by the Azure Active Directory B2C tenant. 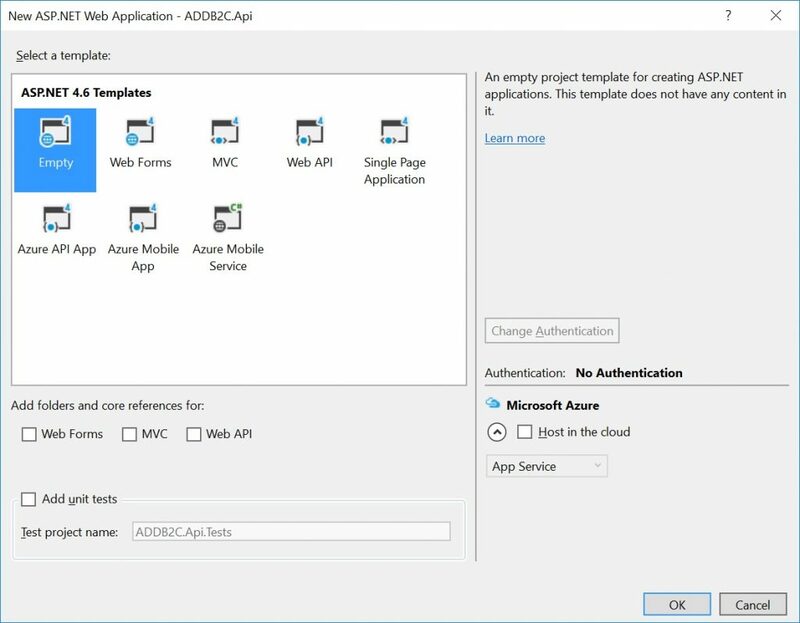 Different front end apps which will communicate with Azure Active Directory B2C to sign-in users, obtain tokens, send them to the protected HTTP API, and retrieve results from the HTTP API and project it on the front end applications. So let’s get our hands dirty and start building the tutorial. Note: If this is the first time you enable SSL locally, you might get prompted to install local IIS Express Certificate, click “Yes”. Note: I have decided to store the fictitious data about customers orders in Azure table storage as this service will be published online and I need to demonstrate the features on how to distinguish users data based on the signed-in user, feel free to use whatever permanent storage you like to complete this tutorial, the implementation here is simple so you can replace it with a SQL Server, MySQL, or any other NoSQL store. So let’s add the needed NuGet packages which allow us to access the Azure Table Storage in a .NET client, I recommend you to refer to the official documentation if you need to read more about Azure Table Storage. // No need to keep checking that table exixts or not. //This will be read from the access token claims. What we have implemented above is very straight forward, in the constructor of the controller, we have read the connection string for the Azure Table Storage from the web.config and created a cloud table instance which references the table named “Orders”. This table will hold the Orders data. The structure of the table is you are thinking in SQL context even Azure Table Storage is NoSQL store is simple and it is represented in the class named “OrderEntity”, the “PartitionKey” will represent the “UserId”, and the “RowKey” will represent the “OrderId”. The “OrderId” will always contain an auto generated value. Please note the following: a) You should not store the connection string for the table storage in web.config, it is better to use Azure Key Vault for a secure way to store your keys or you can set from Azure App Settings if you are going to host the Api on Azure. b) The “UserId” now is fixed, but eventually, it will read the authenticated UserId from the access token claims once we establish the IdP provider and configure our API to rely on Azure Active Directory B2C to protect it. By taking a look at the “POST” action, you will notice that we are adding a new record to the table storage, and the “UserId” is fixed for now and we will visit this and fix it. The same applies to the “GET” action where we read the data from Azure Table Storage for a fixed user. 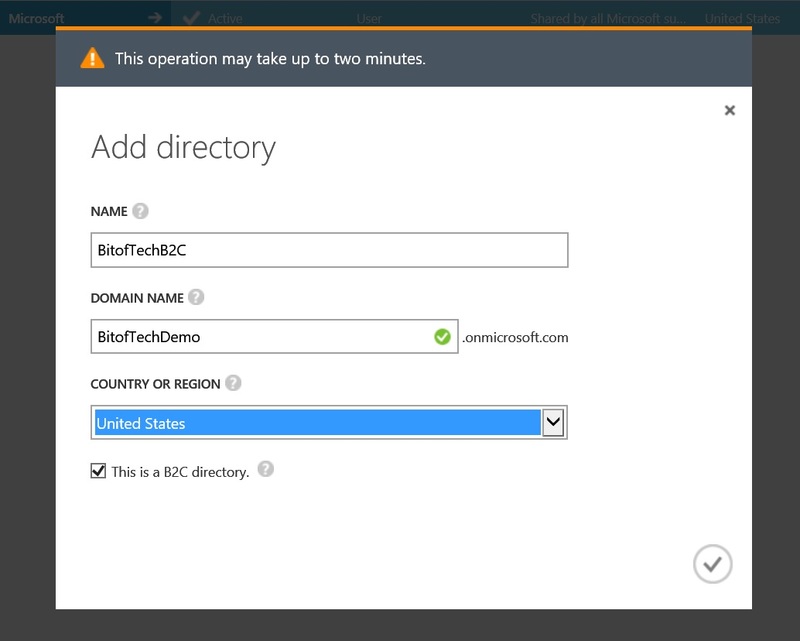 Now we need to create the Azure Active Directory B2C tenant, for the mean time you can create it from the Azure Classic Portal and you will be able to manage all the settings from the new Azure Preview Portal. After your tenant has been created, it will appear in the Active Directory extension bar, as the image below; select the tenant and click on “Configure” tab, then click on “Manage B2C Settings” as the image below. This will open the new Azure Preview Portal where we will start registering the App and managing policies there. Web API/Web APP: we need to turn this on as we are protecting a Web Api and Web app. Native Client: You need to turn this on if you are building mobile application or desktop application client, for the mean time there is no need to turn it on as we are building web application (Server side app) but we will visit this again in the coming posts and enable this once we build a desktop app to consume the API. App key or App secret: This will be used to generate a “Client Secret” for the App which is needed to authenticate the App in the Authorization/Hybrid OAuth 2.0 flow. We will need this in the future posts once I describe how we can obtain access tokens, open id tokens and refresh tokens using Raw HTTP requests. For the mean time, there is no need to generate an App key. One you fill all the information, click “Save” and the application will be created and Application ID will be generated, copy this value and keep it on the notepad as we will use it later on. Azure Active Directory B2C offers multiple social identity providers Microsoft, Google, Amazon, LinkedIn and Facebook in addition to the local App-specific accounts. The local account can be configured to use a “Username” or “Email” as a unique attribute for the account, we will use the “Email” and we will use only the local accounts in this tutorial to keep things simple and straight forward. You can change the “Identity Providers” by selecting the “Identity providers” blade. This link will be helpful if you need to configure it. Azure AD B2C directory comes with a set of “built-in” attributes that represents information about the user, attributes such as (Email, First name, Last name, etc…) those attributes can be extended in case you needed to add extra information about the user upon signing up (creating a profile) or editing it. At the mean time you can create an attribute and set the datatype for it as “String”, I believe that this limitation would be resolved in the coming releases. 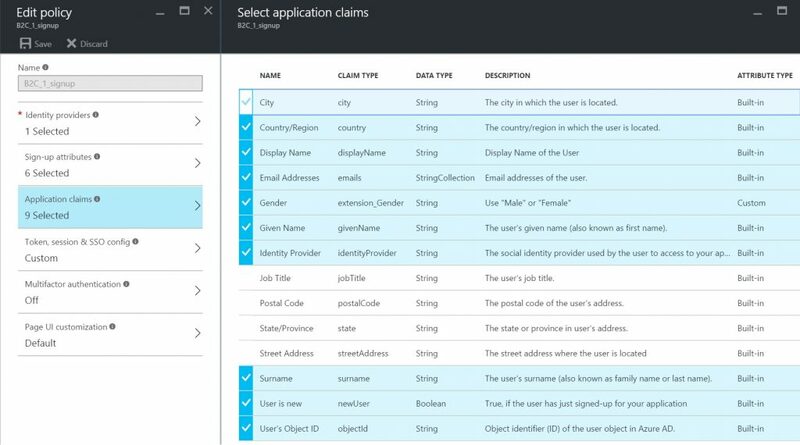 We will see in the next steps how we can retrieve this custom attribute value in our application, there are 2 ways to do so, first one is to include it in claims encoded in the token and the second one is to use Azure AD Graph API. We will use the first method. In the next step, I will show you how to include this custom attribute in the sign-up policy. The unique thing about Azure Active Directory B2C is using the extensible policy framework, which allows the developers to define an easy and reusable way to build the identity experience that they want to provide for application consumers (end users). So for example to enroll a new user in your app and create a app-specific local account, you need to create a Signup Policy where you configure the attributes needed to capture it from the user, you configure the attributes (claims) you need to retrieve after successfully executing the policy, you can configure which identity providers consumers are allowed to use, as well you can configure the look and feel for the signup page by doing simple modifications such as changing label names, the order of the fields, or replace the UI entirety (more about this in future post). All this applies to other policies used to implement identity features such as signing in, editing profile. As well by using the extensible policies framework we can create multiple policies of different types in our tenant and use them in our applications as needed. Policies can be reused across applications, as well they can be exported and uploaded for easier management. This allows us to define and modify identity experiences with minimal or no changes to application code. Click on the “Add” icon at the top of the blade. Select a name for the policy, picking up a clear name is important as we will reference the name in our application, in our case I’ve used “signup”. Select the “Identity providers” and select “Email signup”. In our case this the only provider we have configured for this tenant so far. Select the “Sign-up” attributes. Now we have the chance to choose the attributes we want to collect from the user during the signup process. I have selected 6 attributes as the image below. Select the “Application claims”. Now we have the chance to choose the claims we want to return in the tokens sent back to out application after a successful signup process, remember that those claims are encoded within the token so do not get crazy about adding many claims as the token size will increase. I have selected 9 claims as the image below. Finally, click on “Create” button. You can change the attribute label names (Surname -> Last Name) as well change the order of the fields by dragging the attributes, and set if the field is mandatory or not. Notice how I changed the custom attribute “Gender” to display as a drop down list and have a fixed items such as “Male” and “Female”. All this can be done by selecting the “Page UI customization” section. Once the policy has been created you can configure the ID token, and refresh token expiration date time by selecting the section “Toke, session & SSO config”. I will cover this in the coming posts, for now we will keep the defaults for all policies we will create, and you can read more about this here. Configuring ID token and refresh token expiration times is done pair policy not tenant, IMO I do not know why this was not done per tenant, not per policy, this for sure gives you better flexibility and finer grained control on how to manage policies, but I can not think of a use case where you want to have a different expiration dates for different policies. We will keep them the same for all policies we will create unless we are testing out something. The policy which will be used to sign in the user (login) will be named “Signin“, so after creating it will be named “B2C_1_Signin“. The policy which will be used to edit the created profile will be named “Editprofile“, so after creating it will be named “B2C_1_Editprofile“. Do not forget to configure the Gender custom attribute for the “Editprofile” policy, as we need to display the values in the drop-down list instead of a text box. You can click “Run now” button and test the new policies using a user that you already created from the sign up policy (Jump to next step before). At the mean time the only way to execute those policies and test them out in this post and the coming one is to use the “Run now” button until I build a web application which communicates with the Web API and Azure Active Directory B2C tenant. Azure Active Directory B2C provide us with the ability to test the policies locally without leaving the azure portal, to do so all you need to click on is the “Run now” button and select the preferred Reply URL in case you registered many Reply URL once you registered the App, in our case we will have only a single app and a single reply URL. The Reply URL will be used to return the Id token in hash fragment to the Reply URL selected. Once you click “Run now” button a new window will open and you will be able to test the sign up policy by filling up the needed information, notice that you need to use a real email in order to send activation code to it and verify that you own this email, I believe the Azure AD team implemented by verifying the email before creating the account to avoid creating many unreal emails that will never get verified. Smart decision. The password policy (complexity) used here is the same one used in Azure Active Directory, you can read more about it here. After you fill all the mandatory attributes as the image below click create and you will notice that a redirect took place to the Reply URL and there is an Id Token returned as a hash fragment. This Id token contains all the claims specified in the policy, you can test it out by using a JWT debugging tool such as calebb.net so if we tried to debug the token we’ve received after running the sign up policy, you will see all the claims we asked for encoded in this JWT token. The newly “Gender” custom attribute we have added is returned under a claim named “extension_Gender“. It seems that all the custom attributed are prefixed by the phrase “extension”, I need to validate this with Azure AD team. The globally user unique identifier is returned in the claim named “oid”, we will depend on this claim value to distinguish between registered users. This token is generated based on the policy named “B2C_1_signup”, note the claim named “tfp”. To have a better understanding of each claim meaning, please check this link. This post turned out to be longer than anticipated so I will complete in the coming post , in the next post where I will show you how to reconfigure Our Web Api project to rely on out Azure AD B2C IdP and validate those tokens. 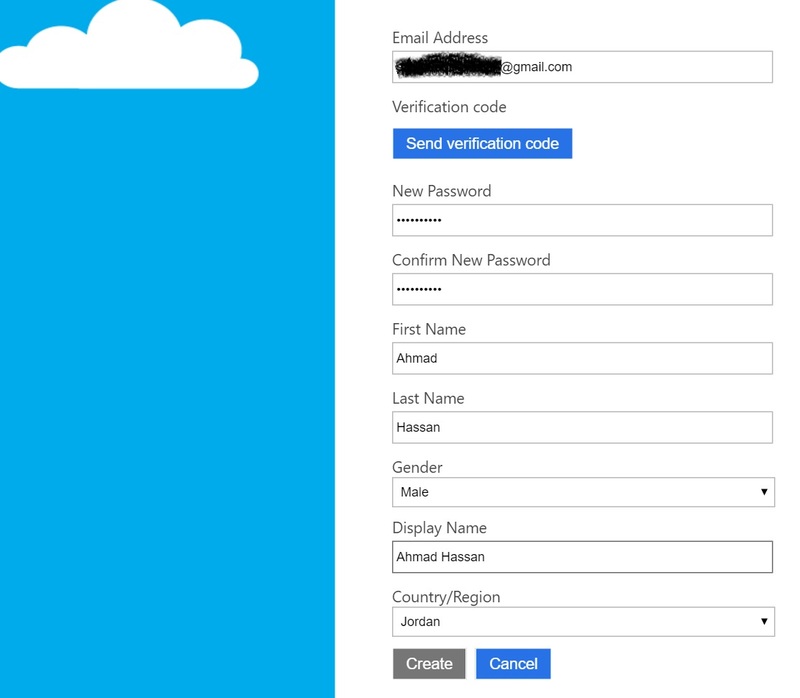 Integrating Azure Active Directory B2C into Xamarin Mobile App by Hossam Barakat. Have you ever created an api using the Azure Graph where you can create a new User using JSON feed? And which allows you to store a username that is a normal email address, for example testing@mysite.com? Not as good as Taiser’s tutotials, but it works. I have a scenario where I am thinking of creating many B2C directories (one per tenant). Is it possible for these tenants to all share application registrations? From what I can currently see, that is not possible. When I add an App Registration I don’t see a way to specify a an existing mutli-tenant app (for example, one registered in another tenant). In other words, an App Registration always results in a different Application ID. Great tutorial, however I run into a an issue. When I redirect to my localhost I just get an error message “We cant reach the page”. You are correct, you can’t use your localhost to connect to my B2C tenant if you are trying this, but if you have provisioned your tenant then you can do this for sure. How Azure AD B2C is different from traditional Azure AD which we talk to using ADAL? I’ve got a very strange error where after authentication from the AADB2C service, the redirect back to the application does not have the Request.IsAuthenticated set to true. 2) Click Signin. App redirects to AADB2C. 3) Enter userid and password to AADB2C, which redirects back to app. 4) App continues to show the Signin option. Once this happens, I must restart the application in Azure. After a restart, clicking the Signin now replies with the Username and the Signout option. What could possibly be stored in the web app regarding the authenticated user that could break and a restart fix it? I’m stumped. I can’t deploy my application to production if AADB2C authentication doesn’t function reliably. The application is a web app that was started from the web app example provided on one of the B2C information pages. B2C-WebApp-OpenIdConnect-DotNet-complete is the solution name. However, I went through it to make sure app the packages are at the same version as yours. The code is almost identical to yours. Evidently this problem is from a long-standing issue that has not been fixed. I implemented the fix to the cookie handling and the problem has not happened since. I used the sample projects of how to do this from Azure related sites. They don’t know about this issue or just haven’t bothered to update their code. This resulted in a month of wasted time trying to get their code to work when it was never going to work as coded. EOM. 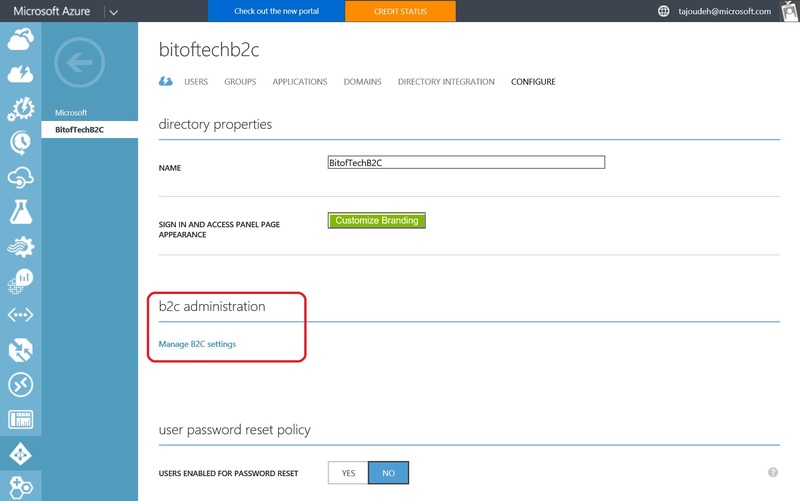 In our application, we are using Username instead of Email for login to Azure B2C. Can’t we retrieve email id that was entered by using during signup? Without this, users can get stuck without a reasonable way to get to the “Sign Up” link. User would have to do something like hit back until they get to the underlying website, or reenter the original URL. I have followed you code, however I am getting 401 when testing as per above. Please can you point me in the right direction for decoding.